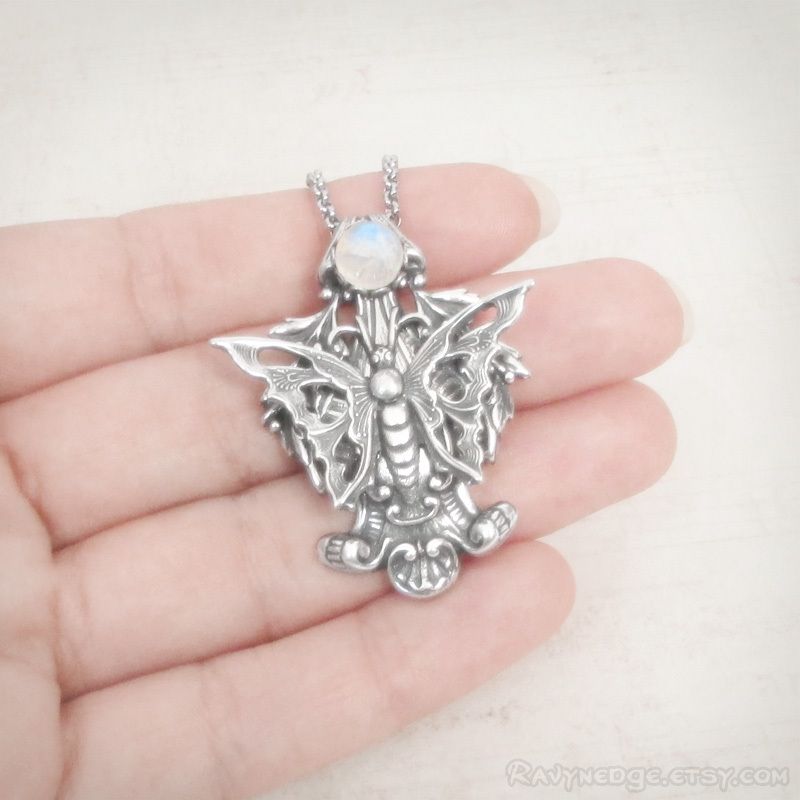 Chasing Moonlight Pendant - Rainbow Moonstone Silver Butterfly Necklace by RavynEdge. Let this butterfly necklace inspire you to soar toward new heights and new experiences on your transformations through life. 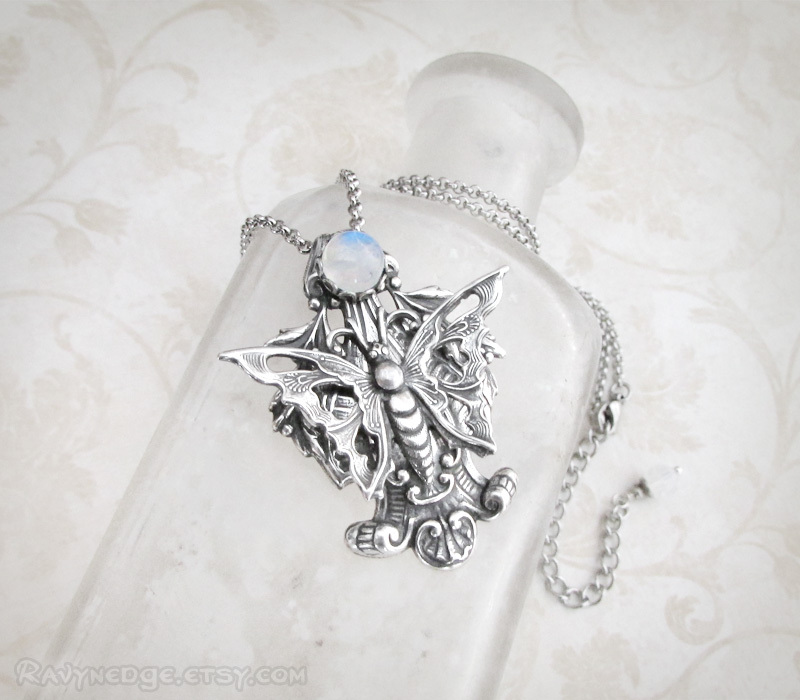 This elegant pendant features a detailed butterfly flying toward a beautiful full moon of flashy rainbow moonstone. 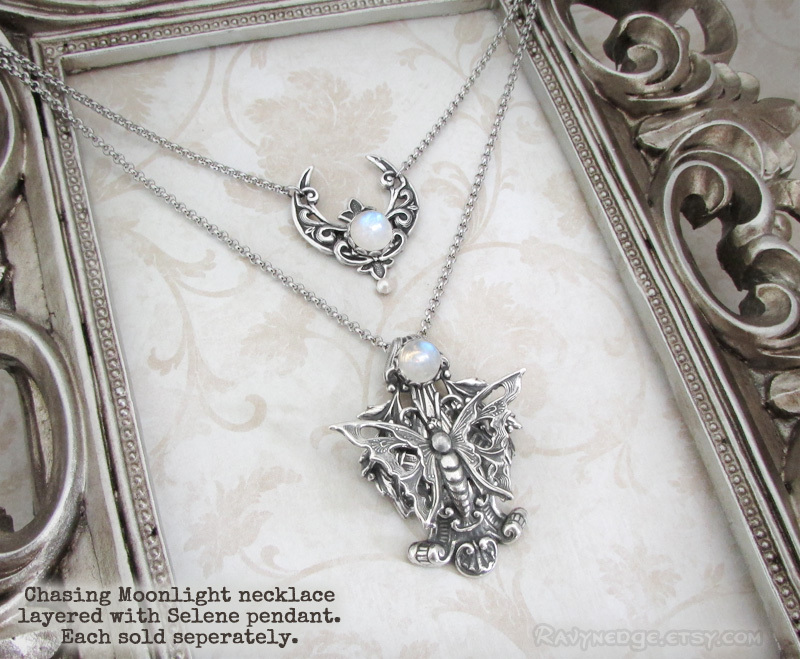 The metal's oxidized finish gives the pendant a wonderfully romantic look with vintage appeal. 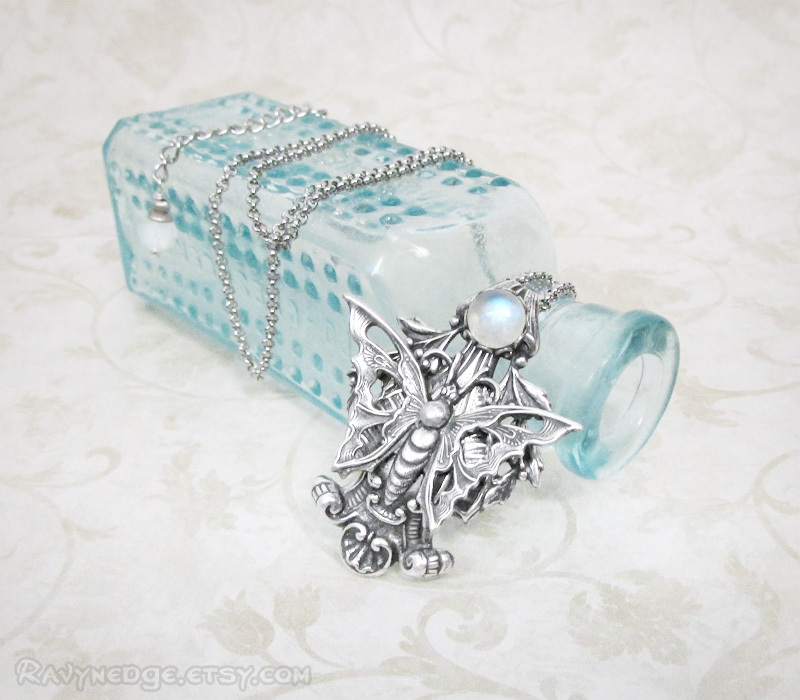 The sterling silver plated pendant measures 1.65 inches (4.2 cm) tall and 1.34 inches (3.4 cm) wide. 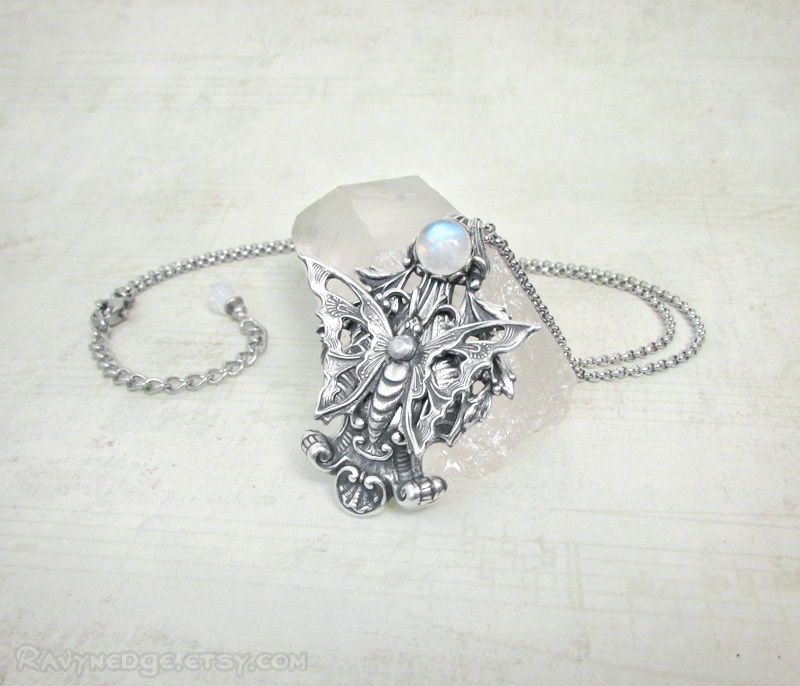 The moonstone cabochon measures approximately 7mm across the center. The stainless steel chain adjusts from 16 to 18 inches (40.6 to 45.7cm) and closes with a lobster clasp.